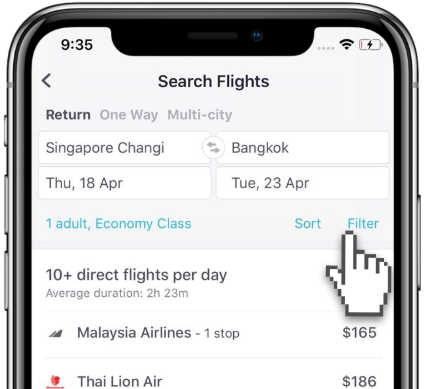 Looking to save on your next flight this 2019? We found some Emirates flight deals for maximum travel savings! Conditions: Book by 3 April 2019. Prices are valid as of 27 March 2019 and may not always be available. Bookmark this page – we’ll be updating it regularly! Melbourne’s charm lies on its picturesque, European-influenced city landscape, where heritage buildings and modern skyscrapers rise in a beautiful contrast. Also an important hub for culture, Melbourne’s diversity can be seen in its food and architecture. Whether it’s sipping coffee in funky cafes, or hitting the bustling open-air market, Melbourne’s laidback attitude will keep you coming back for more. A major route for Emirates, prices for Melbourne flights peak in June and December and the cheapest month to find flight deals is March, where the average price is $347 as of January. Another major route for Emirates from Singapore, Dubai is one of the wealthiest countries in the world and prides itself as a modern nation that is lively, sophisticated and well-organised. Behind its posh malls, sun-kissed beaches and sprawling deserts, its timeless old quarter paints the longstanding cultural history amidst the unrelenting modernity. Its hospitality and versatility will make any kinds of travellers crave for more of Dubai. Prices for Dubai flights are cheapest in February, where the average price is $536 as of January. Ticket prices hits their peak in June and January. The bustling capital of Sri Lanka charms travellers with its history as a significant port city. Behind its modern life surroundings, Colombo conjures up a diverse image, evident with its well-preserved cultural and religious sites. Its hectic markets, sandy beaches and scrumptious street food never fails to entice visitors time and time again. Peaking in May and December prices for Singapore to Colombo flights are cheapest in July, where the average price is $239 as of January. The grandeur of London relies heavily on its timeless architecture, historic landmarks as well as its green spaces. Any history enthusiast will instantly fall in love with the city for its sheer number of impressive museums, galleries and palaces. The theme of diversity runs proudly in its everyday life, evident in its arts and culture. Truly a multicultural city, London inspires and welcomes everyone. Prices for London flights peak in August and January and the cheapest month to find deals is March, where the average price is $734 as of January. Deserving to be in every traveller’s bucket list, the subtropical capital of Queensland offers a truly relaxing getaway. Its idyllic island, tranquil riverside, and well-preserved national parks make for a perfect outdoor trips. The booming arts scene can be seen in its street arts, fashionable cafes, sophisticated theaters as well as quirky boutiques, making it one of the most important cultural hubs in the country. The cheapest month to fly to Brisbane from Singapore is July, where the average price is $131 as of January. Arguably the most beautiful city in Australia, Sydney will instantly capture your heart with its unending charms. A vibrant city on its own, the state capital of New South Wales is big on visuals: impressive harbour, majestic bridge, well-preserved biodiversity, golden beaches, and excellent museums. Its cobbled aboriginal heritage sites should also be in every travellers’ itinerary, a truly timeless and significant place of interest. Prices for Sydney flights peak in June and December and the cheapest month is July, where the average price is $131 as of January. Situated along the Limmat River, the financial city of Zurich epitomises an urban city with zealously preserved nature. Exquisite, creative and breathtaking, the cosmopolitan city boasts its shopping streets, sumptuous culinary and art spaces. The Swiss Alps and the lakes offer a terrific backdrop while the old town and the rustic castles allow you to relive the medieval times. Prices for Zurich flights peak in June and December and the cheapest month is July, where the average price is $131 as of January. The ever-evolving New York City continues to be vibrant for as long as you can remember. Classic and cutting-edge art galleries and museums makes the city a significant cultural center,while its cosmopolitan background bears witness to the steady rise of exceptional global cuisine. The big city bustle and architectural treasures contrast nicely with its renowned park and tranquil botanic garden, making New York City simply an irresistible destination. Prices for New York flights peak in August and December and the cheapest month is March, where the average price is $692 as of January. Milan breathes arts wherever you go: historic opera house, majestic cathedrals, diverse literary scene and intricate Romanesque architecture. Its world renowned design makes it a top fashion city and an excellent place to shop in Italy. The forward-thinking Milan not only leads the way in futuristic spaces, but also in its reinvention of fine Italian cuisine that will keep you intrigued. Prices for Milan flights peak in August and January and the best month to find a deal is February, where the average price is $694 as of January. If innovation has a birthplace, it would be Manchester. The Industrial Revolution propelled Manchester to unprecedented progress and discovery for the humanity. The remarkable city has a lot to offer: world-renowned football clubs, vibrant music scene, excellent galleries and stunning buildings. A groovy and creative city, Manchester does not have to try hard to entice travellers. Prices for Singapore to Manchester flights peak in June and December and the cheapest month is July, where the average price is $131 as of January. 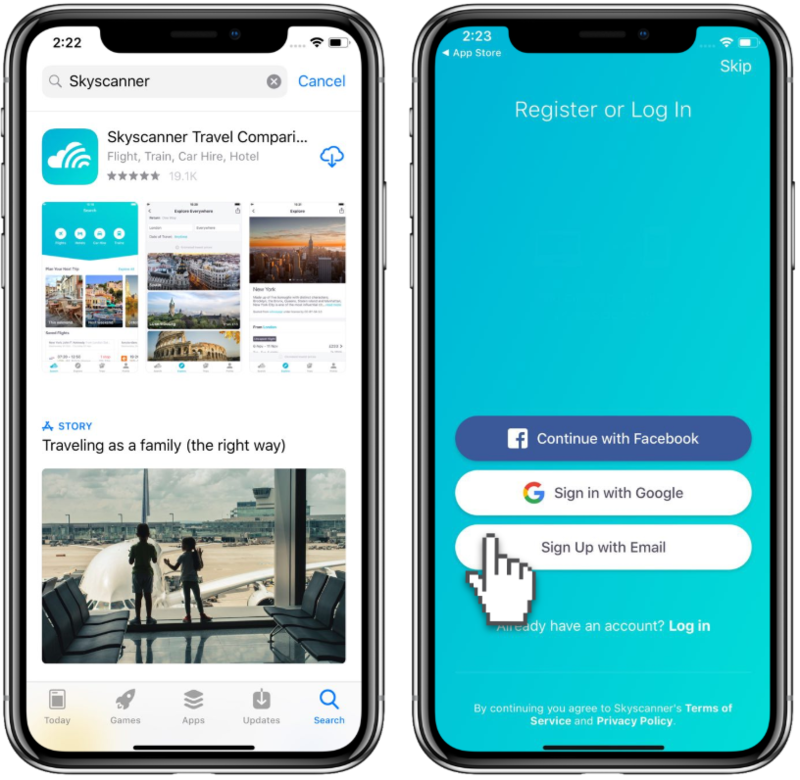 To find the best Emirates promos, start off by downloading the Skyscanner app on iOS and Android. Simply use the airline filter on the Skyscanner app to find Emirates promotion flights. 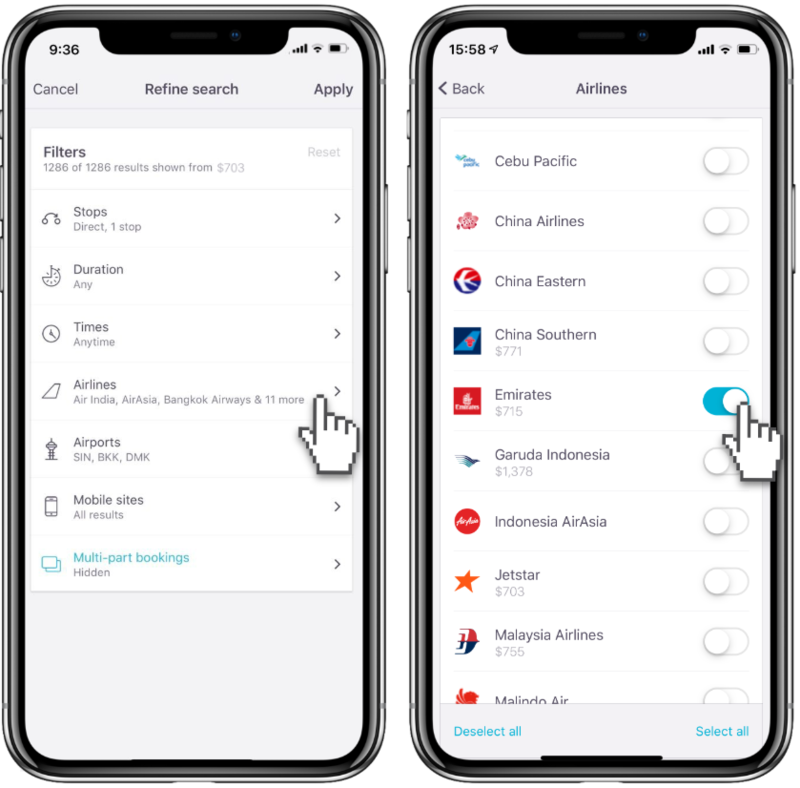 Begin by choosing your destination and dates, and then tap “Filter.” Choose Airlines, and then choose Emirates. 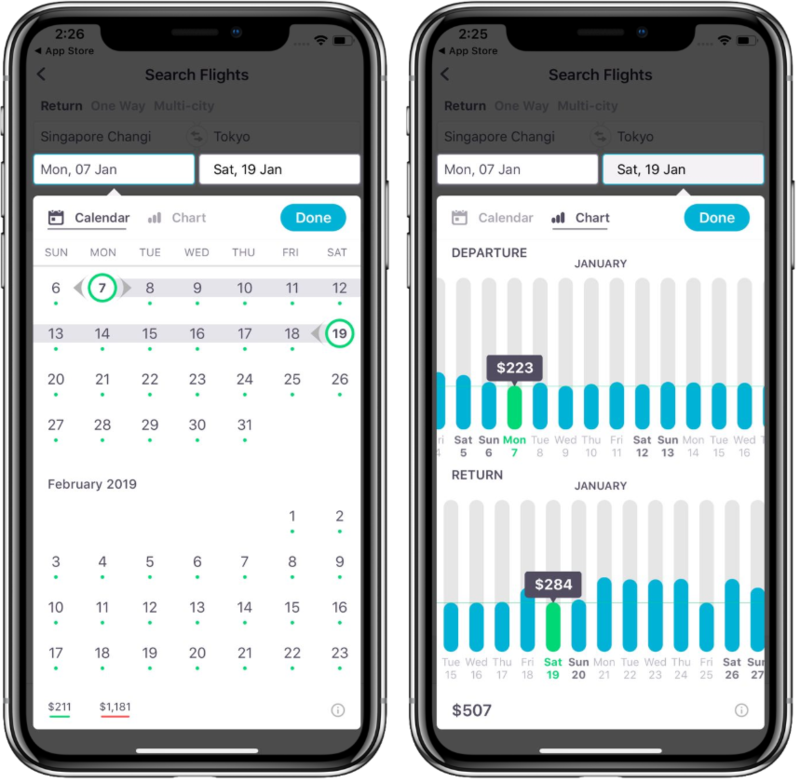 Get the most of any Emirates promotion this 2019 by using the Calendar View to quickly find which dates are the cheapest.